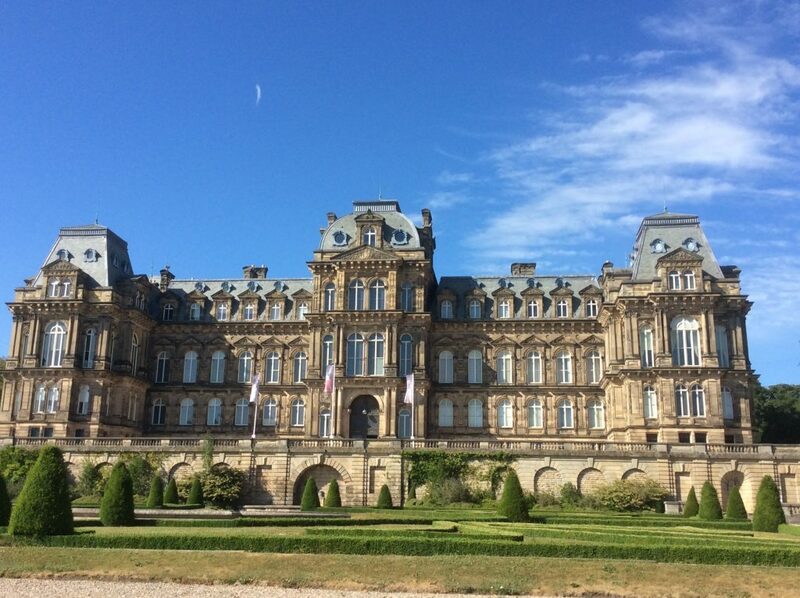 It doesn’t require much temptation to lure TheEye back to the Bowes Museum in the market town of Barnard Castle, County Durham. This individual and quirky museum (known as ‘the V&A of the North’) dominates a hillside overlooking the town. A gracious Chateaux built in the French style set in formal gardens. Named after John and Josephine Bowes and filled with the treasures they amassed, although sadly they never lived to see its completion. 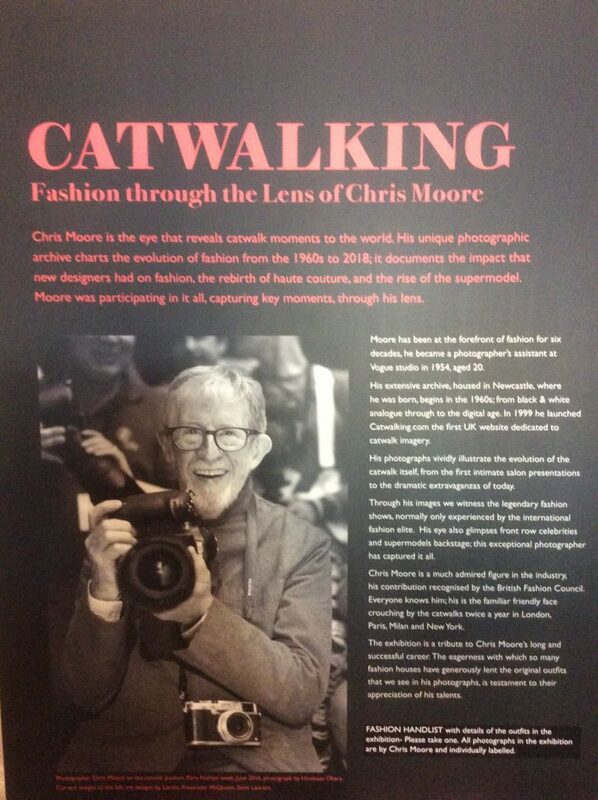 On a sunny summer’s day, such as the one the day TheEye visited, it was a magical setting for an exhibition honouring one of the great photographic chroniclers of the world of fashion: Chris Moore. 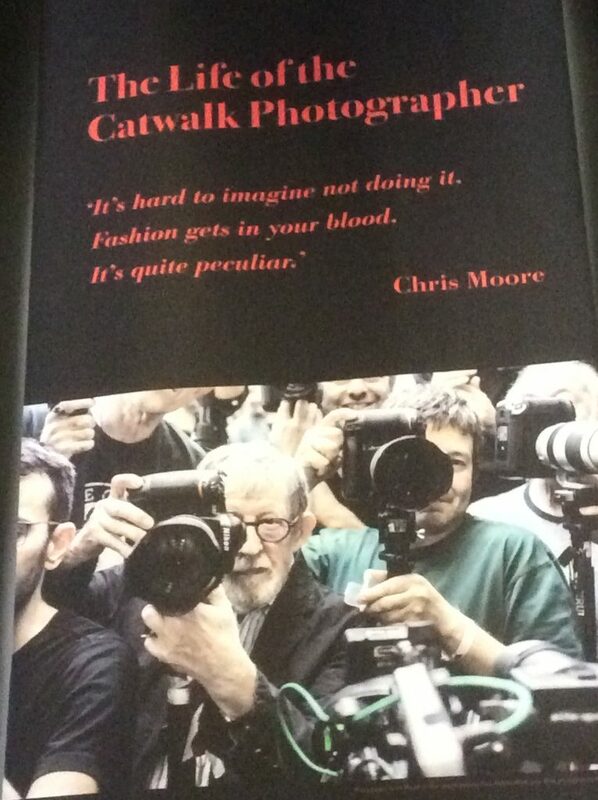 Chris Moore started his career aged 20 as a photographer’s assistant at Vogue studio. 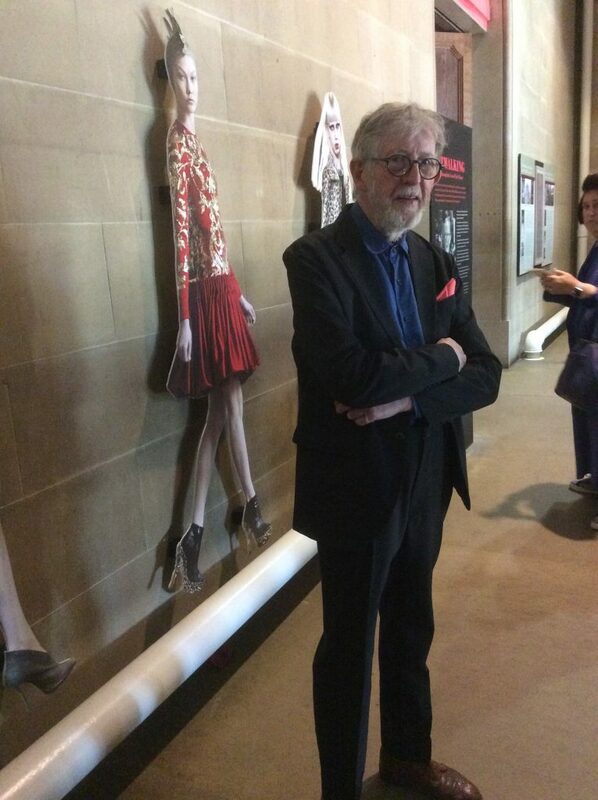 He is a much-admired figure in the volatile world of fashion, reliably recording the evolution of the catwalk from the days of intimate salon presentations for the rich and privileged to the current ‘Cirque de Soleil’ style extravaganzas of today, with the major fashion houses vying with each other to be more lavish and over the top. You could say Moore has ‘seen it all’. A fashion house shows in Havana paying for journalists to fly and be accommodated in ‘only the best’, another will show in Mumbai, or Moscow, or Capri. The competition is fierce. Expense doesn’t enter into it. 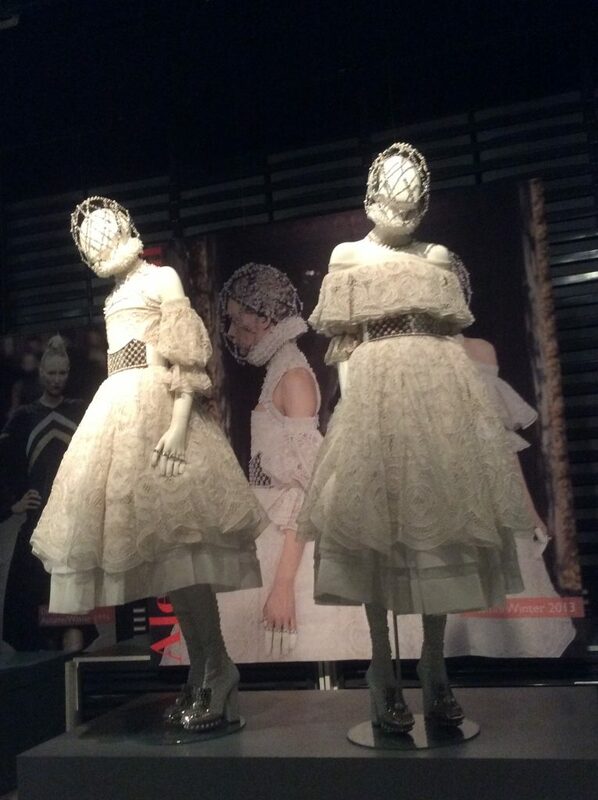 Comme des Garcons. 2016. 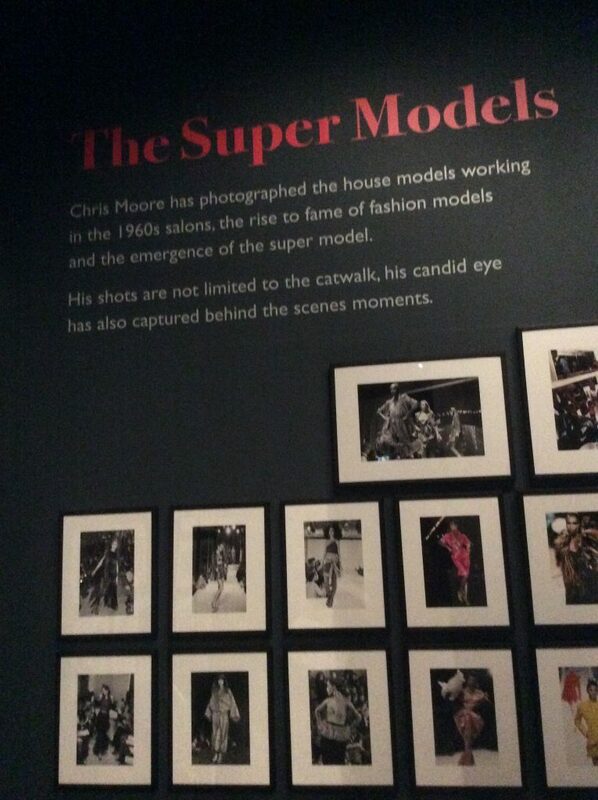 The model in Chris Moore’s photo is NOT SMILING. 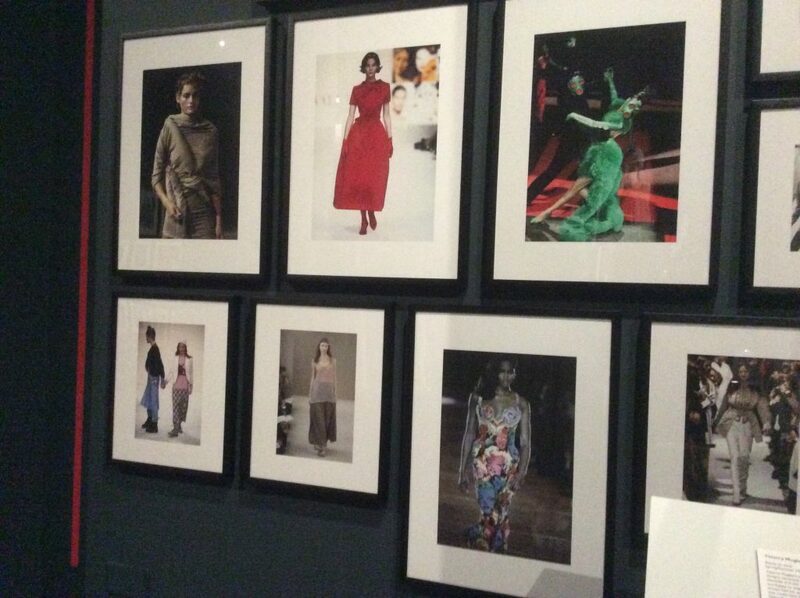 ‘Catwalking‘ is a behind the scenes look into the fashion world. 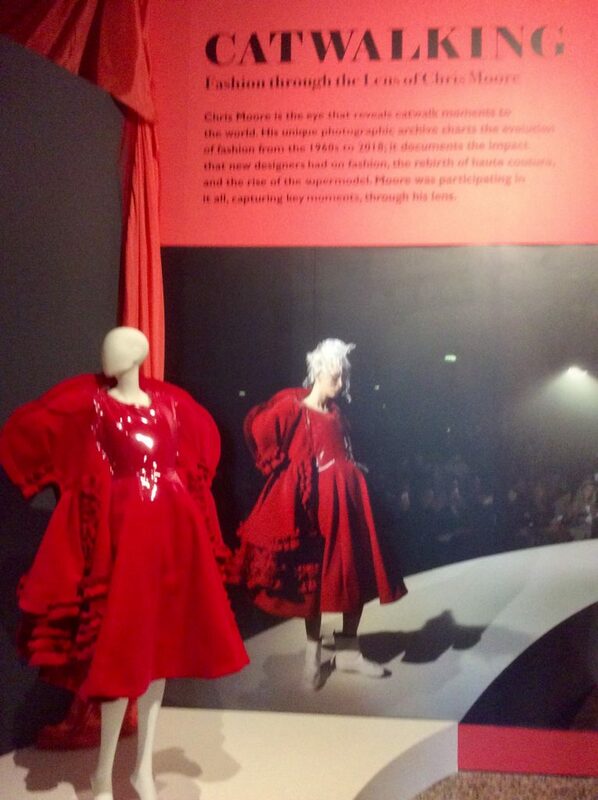 Joanna Hashegan, the exhibition curator, was able to secure loans of original outfits which are displayed against Moore’s photographs. 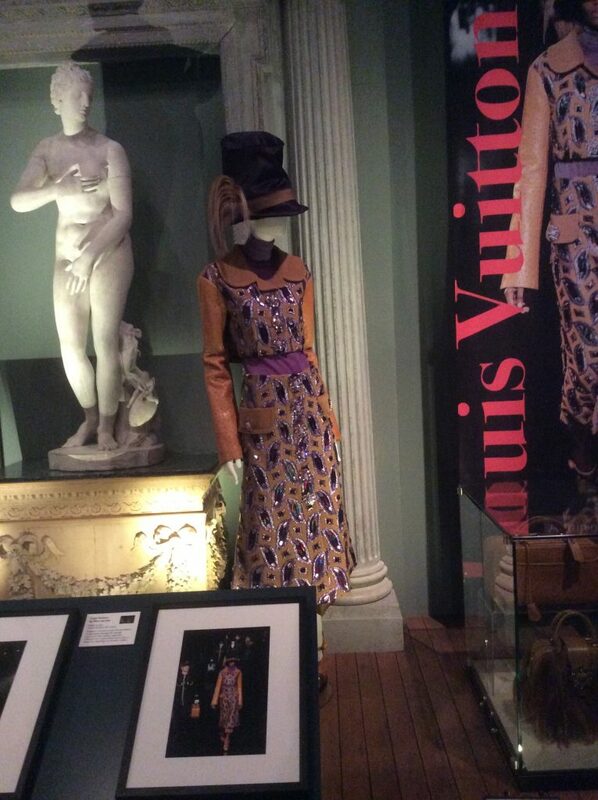 A tribute to Moore’s high standing (and also the reputation of The Bowes Museum which recently hosted the Yves Saint Laurent retrospective) with the notoriously picky fashion houses. 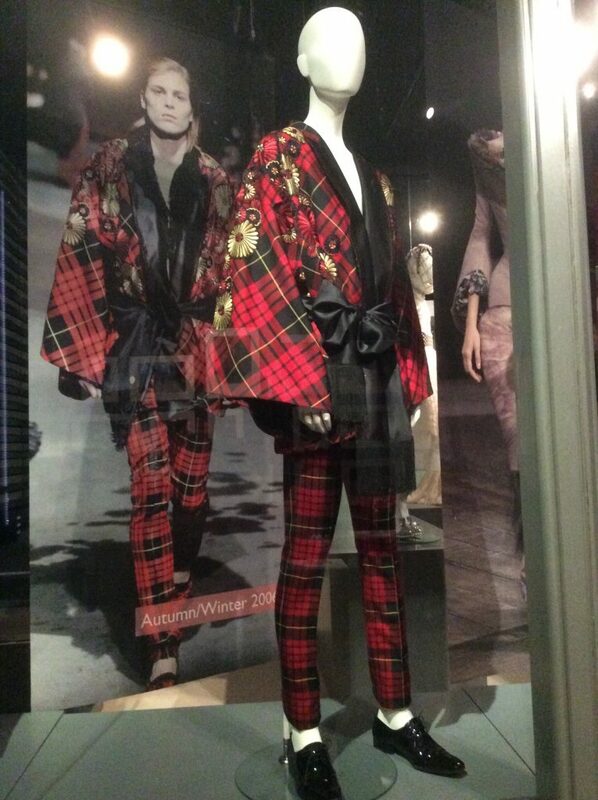 And there are some glorious clothes. 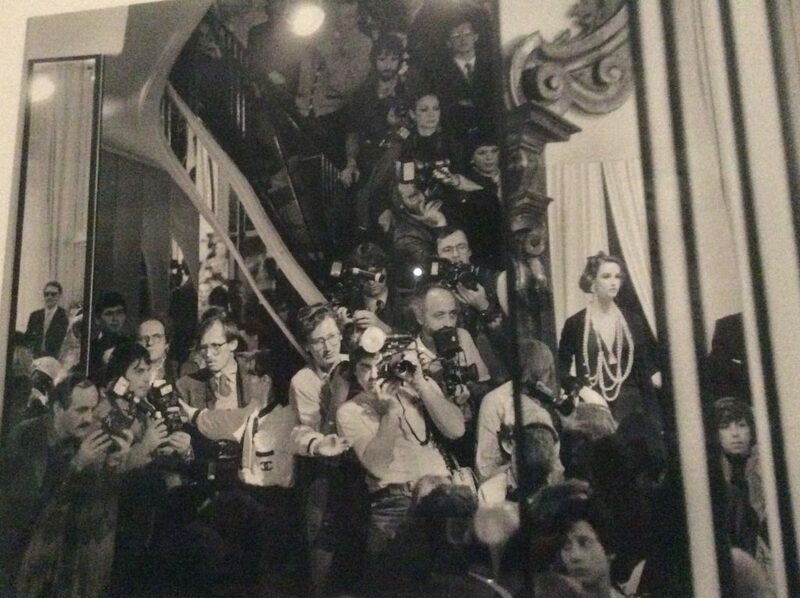 A bank of photographers. Chris Moore is somewhere in the crowd. One of the things that interested TheEye was the moment models stopped smiling and started to strut down the catwalk with blank, sulky expressions on their faces staring ahead into…goodness knows where? 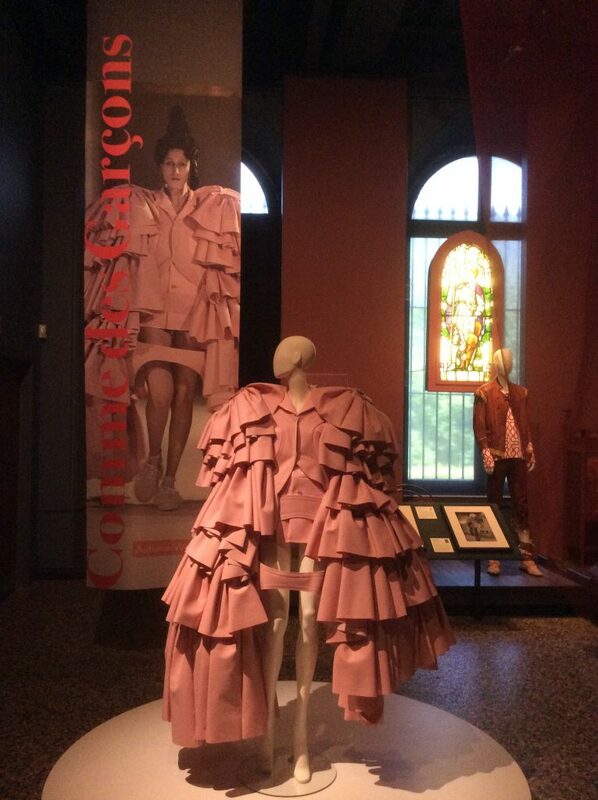 According to Moore, Commes des Garçons was responsible for the change. It was the label’s first Paris show that changed the mood and everyone else caught on. Goodbye happy smiley, hello sulky sad! How long must it take a model in front of a mirror to achieve the correct funeral expression? Chloe 1976. 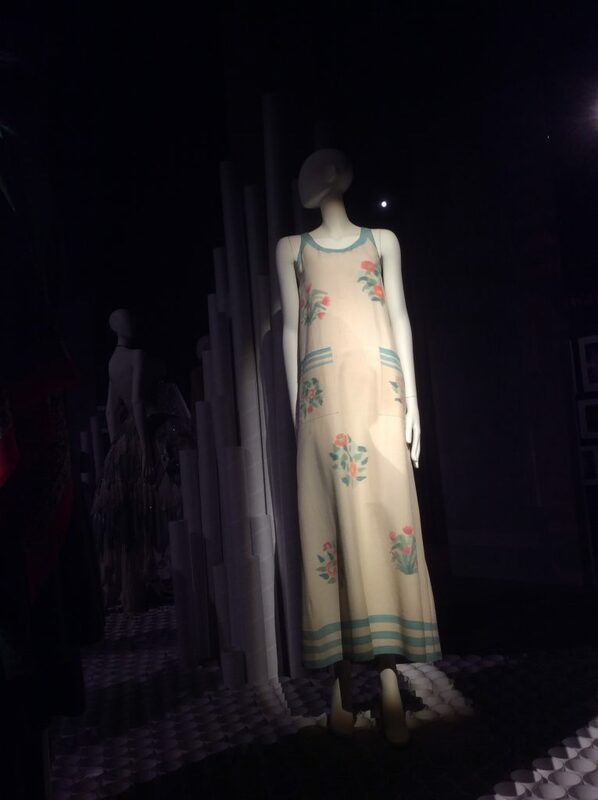 TheEye’s favourite dress. 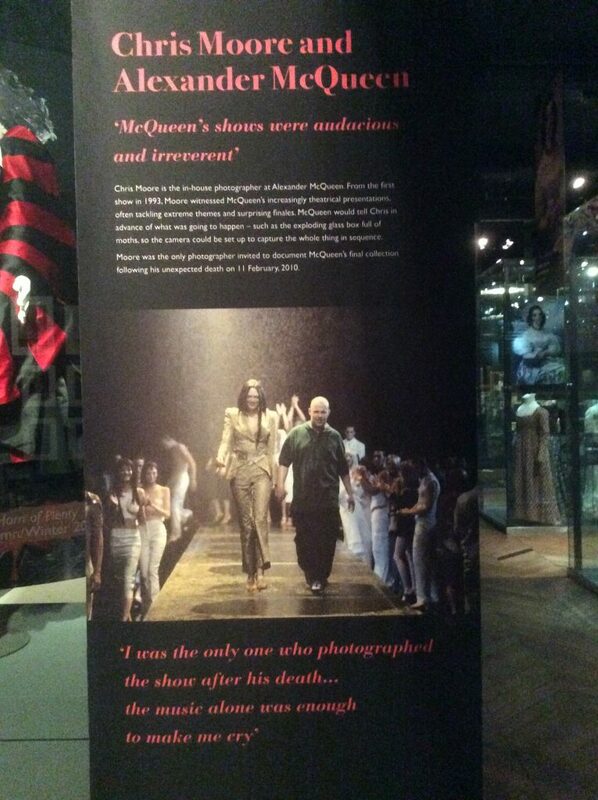 Alexander McQueen photographed by Chris Moore. An extraordinary massive talent. Christy Turlington – Chris Moore’s favourite Supermodel – still gorgeous, still going strong. 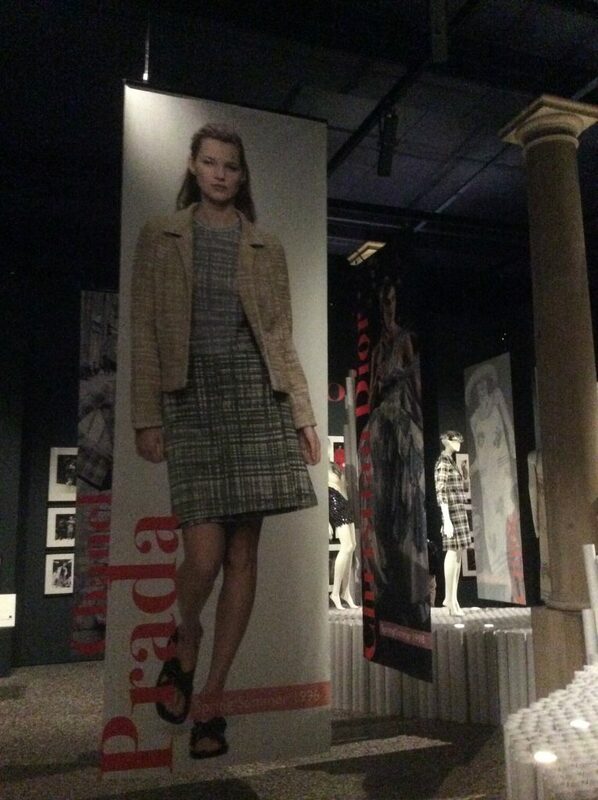 A very demure Kate Moss in Prada. Not quite the rock’n’roll princess she became. 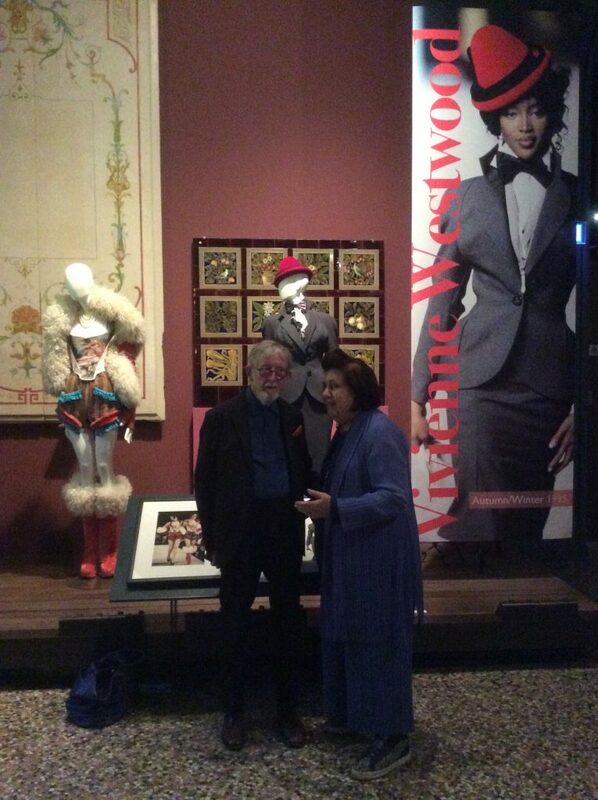 Fashion Queen Suzy Menkes (‘the greatest fashion editor of them all’ according to Chris Moore) in front of Vivienne Westwood. Modest, professional and passionate, Chris Moore. A great photographer, a wonderful exhibition. Worth the journey. For those that have never visited The Bowes, you are missing a treat. 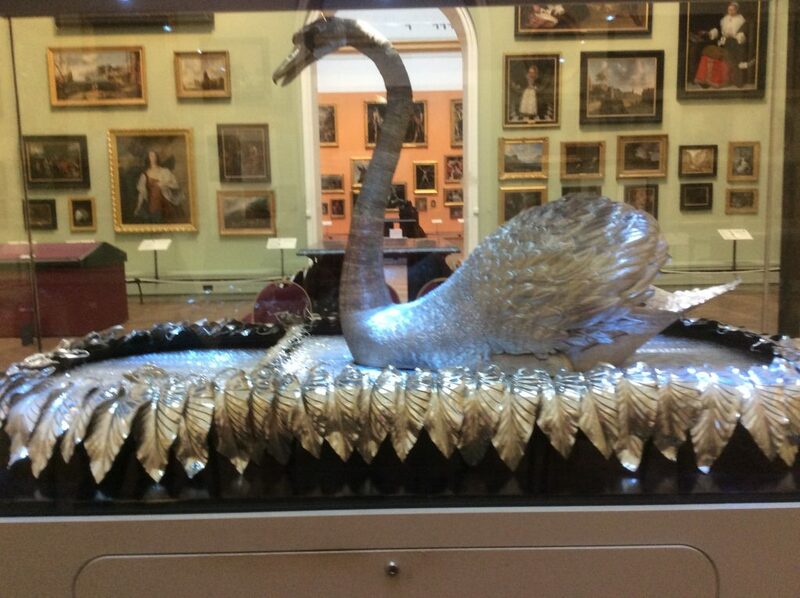 When people talk about ‘national treasures’, The Bowes Museum is certainly a contender. much appreciate your support and so pleased you loved the show.